...but you can bet everything you've got in the bank that all racists are Conservative! "Missouri official apologizes for racist Facebook posts: 'I was a very active Republican at the time.'" "Poplar Bluff Republicans were not happy with apology. 'It even got more intense when he proceeded to blame the republican party for him thinking like that,' said the chairman of the Butler County Republicans, Eddy Justice. 'Republicans believe everyone should be judged on their qualifications, on their ability...'"
"St. Louis' African-American Newspaper Details Racist Reactions and Evasions by Missouri Pols to Michael Brown's Killing." "The EYE is moving in unchartered waters writing about the police shooting of Michael Brown, the greater St. Louis African-American community’s unprecedented response in protest and the militarized police repression of these protests. The motto of this column is “what it is, it ain’t,” because in St. Louis politics, and in much of our civic life, the truth seldom comes out plain. Almost always, it’s twisted. "In this case, for once, what it is, it is. "There can be no denying what the newspaper has reported for decades..."
After all, we elected an African American as our president! 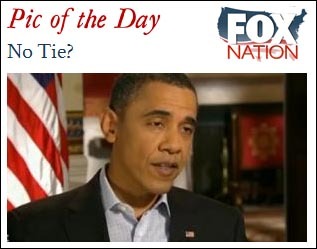 "Fox 'News' Outraged That Kenyan Socialist Marxist Communist Nazi Muslim Obama Didn’t Wear a Necktie!" "For most people, their reaction to the murder of reporter James Foley was a mixture of anger and sadness; a sensation of loss, and perhaps a seething rage directed at the men behind it. For most. "But Fox News contributor and Outnumbered guest co-host Pete Hegseth is not like most people. Where most were numbed into silence, Hegseth had his priorities straight: he wanted to know where Obama’s tie was. "He said that the idea of Obama speaking without a tie gets him 'fired up...'"
"The Poisonous Racism Driving Violence in Ferguson and the Rest of America." "The past week's unfolding tragedy in Ferguson, Missouri, with its militarized and overwhelmingly white police force confronting angry and hopeless African-Americans, is not a story unique to that place or this moment. Many cities and towns in this country confront the same problems of poverty, alienation and inequality as metropolitan St. Louis -- or even worse. "But beneath the familiar narrative, there is a deeper history that reflects the unfinished agenda of race relations -- and the persistence of poisonous prejudice that has never been fully cleansed from the American mainstream..."
Do we have to wait until these revolting racists and disgusting bigots die off before we see racism finally eradicated in America? Maybe not all Conservatives are racists, but there are so many of them it doesn't really make a difference. How many "compassionate" Conservatives can you name that have come to the defense of the murdered Michael Brown in Ferguson? How many Conservatives have disowned the KKK anywhere in the country? And how many Conservative congressmen or senators have offered any bills to fight racism? None, and there never will be because racists are an important segment of the Republican Party's base. 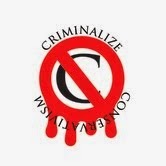 Racism against our fellow Americans will never disappear until Conservatism is criminalized. cream…. And Kraft comes up with the Or-Bam-eo, the triple double-dipper."